The photograph below is of a Laughing Kookaburra (Dacelo novaeguineae) which I found basking in the warm autumn sun at Lorne on the Great Ocean Road, yesterday. 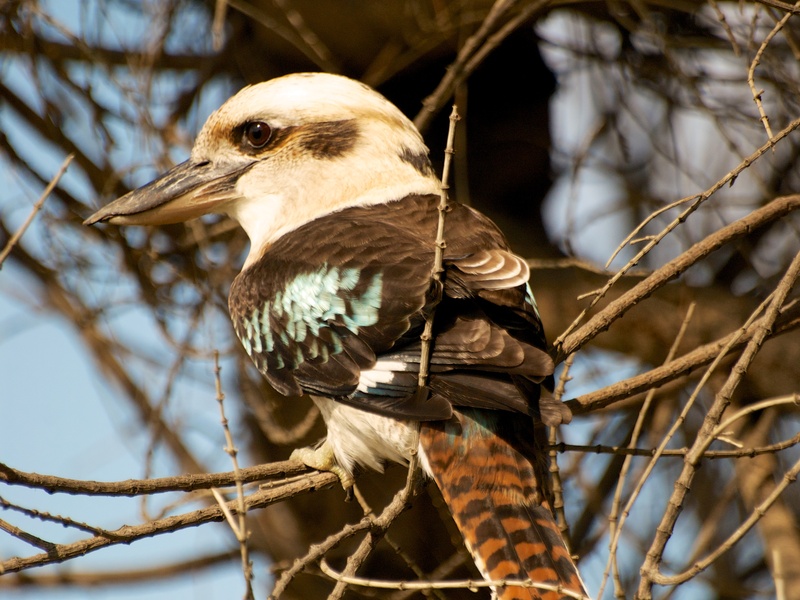 The Laughing Kookaburra is the largest Kingfisher with a massive bill, black above and horn below. The race novaeguineae is larger than race minor which is found on Cape York Peninsular. They are 45 centimetres in body size. Kookaburras have been known to swoop on snakes and carry them in their beak to a great height above the ground before releasing them to plunge to their death. The snake will then become the Kookaburra’s meal. I have heard stories of people who have been almost hit by the falling snake. Laughing Kookaburra – basking in the sun. On my walk through the Botanic Gardens at Colac I noticed that some of the Dahlia blooms were still showing well. 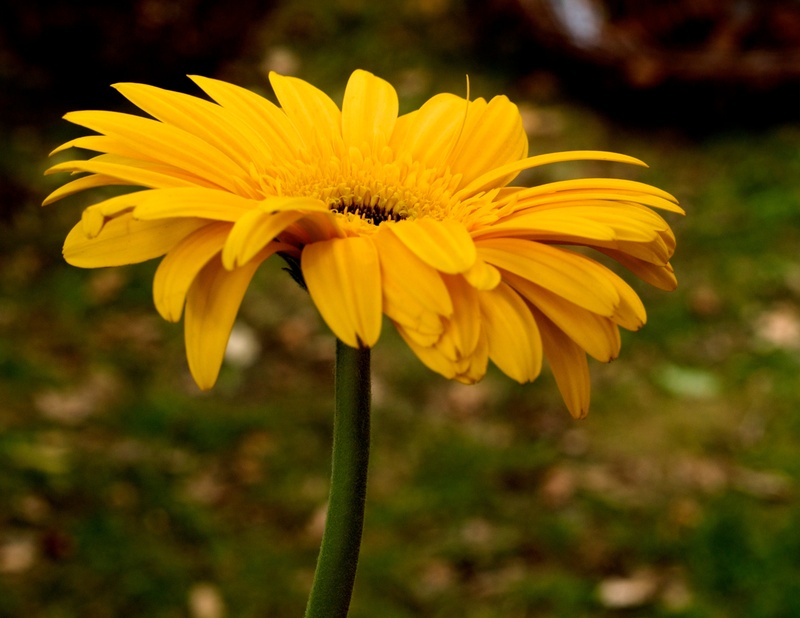 I have an affinity with Gerberas. They one of my mother’s favourite flowers and they were always growing in her garden. However the varieties back when I was a young boy are totally different to the Gerberas we see today. Now there are semi-double and double forms. 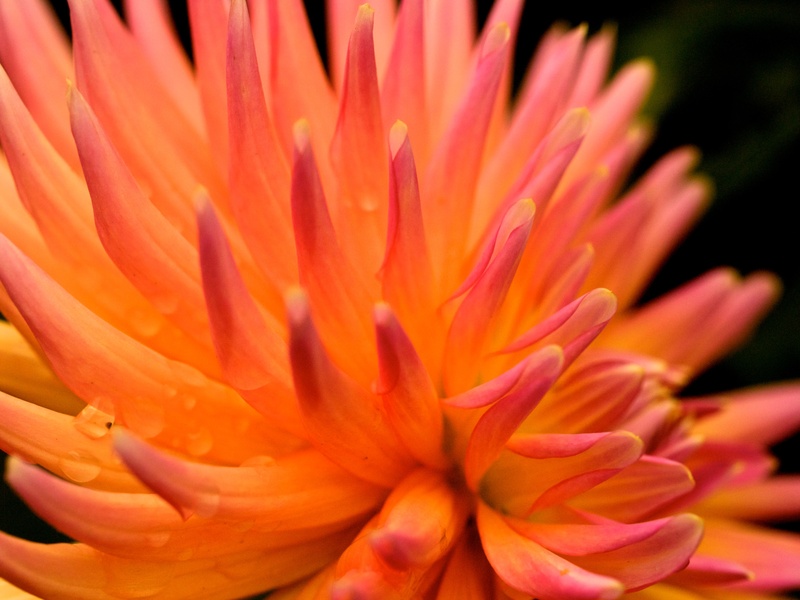 The narrow petals have disappeared and they are available in bright vivid hues. The image below was taken twelve months ago at the Melbourne International Flower and Garden Show, which, incidentally is on this weekend. 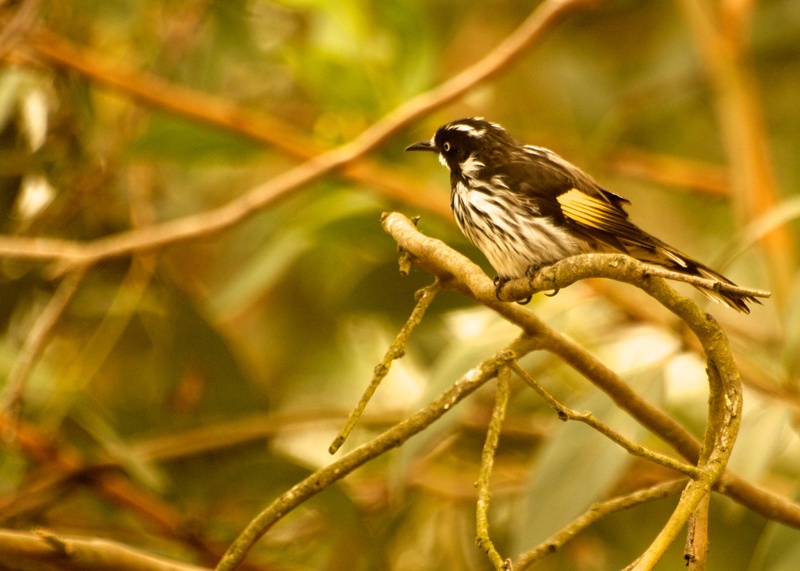 The New Holland Honeyeater (Phylidonyris novaehollandiae) is a small bird measuring between 16 to 19 centimetres in size. It is streaked black and white with a yellow wing patch and white iris. 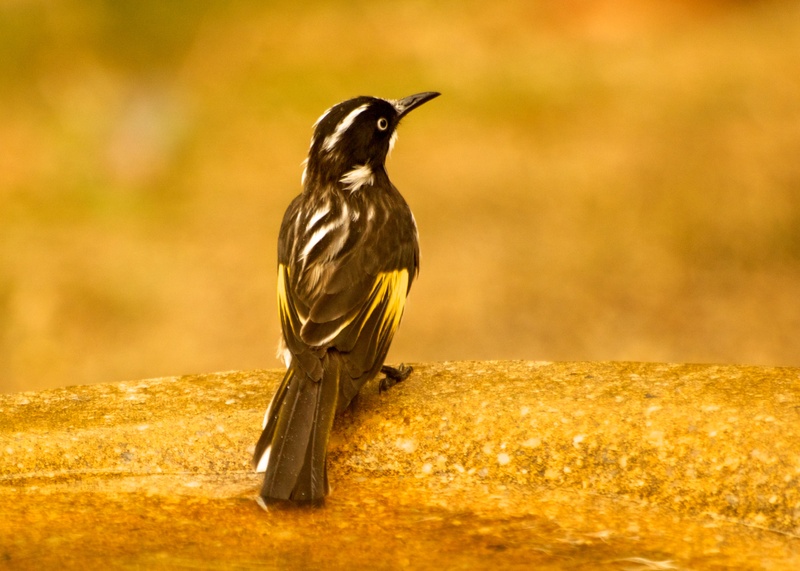 New Holland Honeyeater at the bird bath. The female is the smaller bird. These birds are very active and rarely sit still in one place. They will be seen darting from one flower to another in search of high energy food. The New Holland Honeyeater is native to Australia. It is not considered endangered and will be found in heaths, coastal banksia woodlands and urban areas. 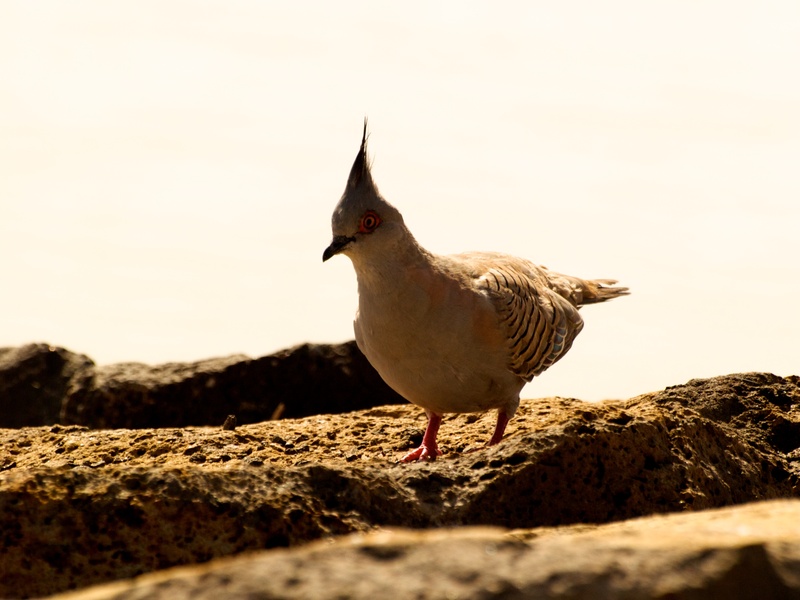 The Crested Pigeon (Ocyphaps lophotes) is a native of Australia, and is common throughout the mainland. It builds a nest of twigs, placed in a tree or dense bush. Both sexes share the incubation of the eggs, and both care for the young. The images below were taken along the waterfront of Hobsons Bay. It has been brought to my attention that yesterday was World Sparrow Day. A day designated to raise awareness about the House Sparrow and other common birds found in urban locations. The following images are of House Sparrows (Passer domesticus) which were introduced into Australia from Britain, through Victoria at first, then into other parts of the country between 1863 to 1870. 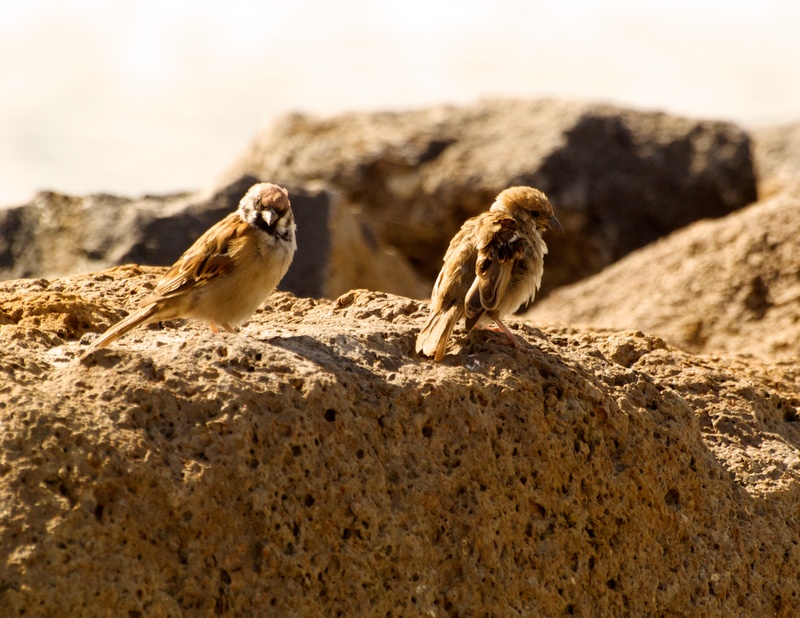 House Sparrows can now be found through out Eastern Australia. 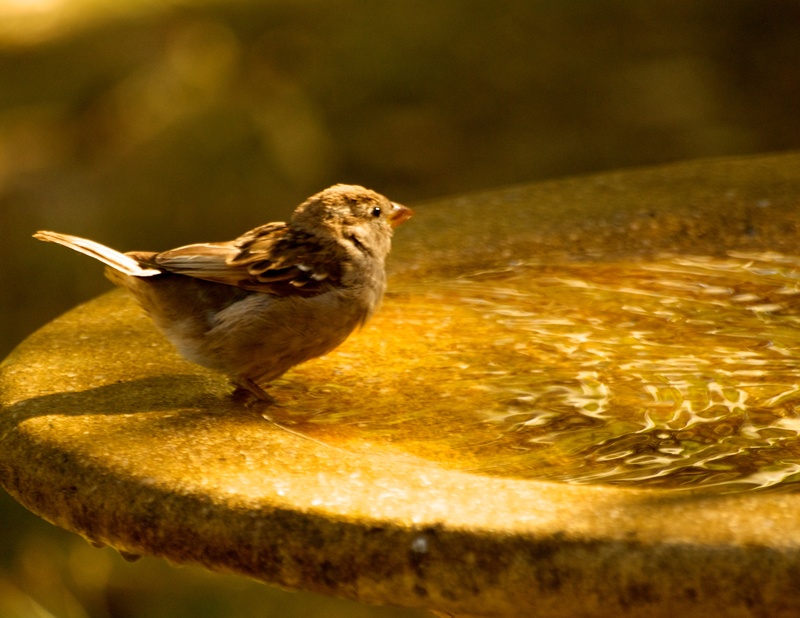 House Sparrow at the bird bath in my garden. Its ability to eat all types of food has helped the House Sparrow to become established in Australia. It will be found at street side cafes looking for the crumbs and food scraps left by humans. 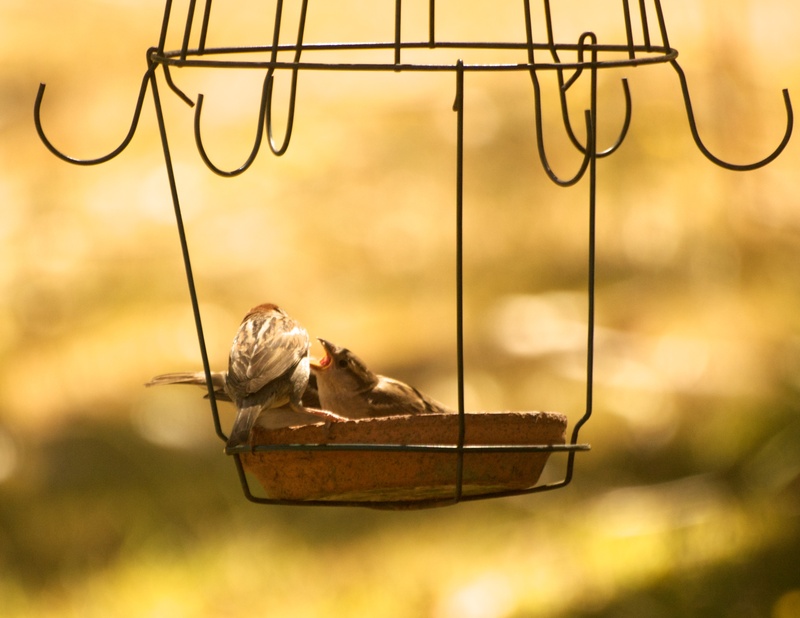 Male and female House Sparrows form permanent pairs and both sexes build the nest and attend to the young. Several broods may be produced in an extended breeding season. 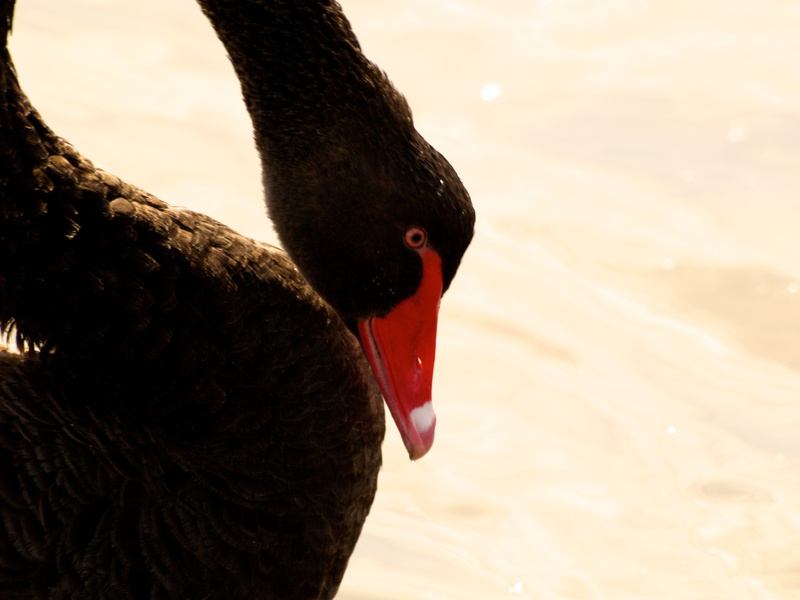 The following images of Black Swans (Cygnus atratus) were taken on the waterfront at Williamstown (Hobsons Bay). 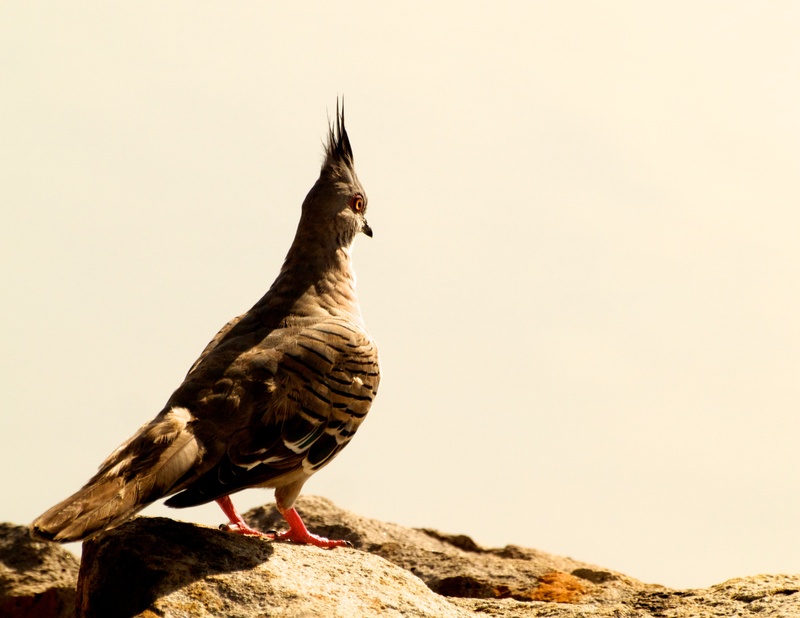 These birds are very used to human interaction and so it is easy to get close to them. 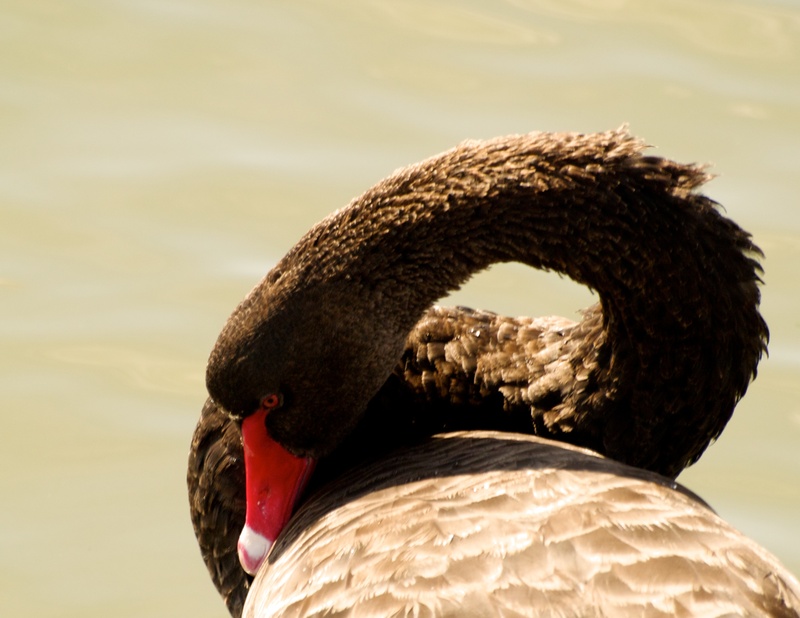 Black Swans are vegetarians with their diet consisting of algae and weeds. They live in most parts of Australia but are more common in the south and south-east. On land they are very clumsy walkers. They pair for life and both adults raise one brood in a season. Sometimes the pairing is homosexual, mostly male, and they steal nests driving away the female after she has laid the eggs. Usually the nest is placed on a small island, and sometimes it is floated. A nest will be reused every year after repairing or rebuilding if necessary. 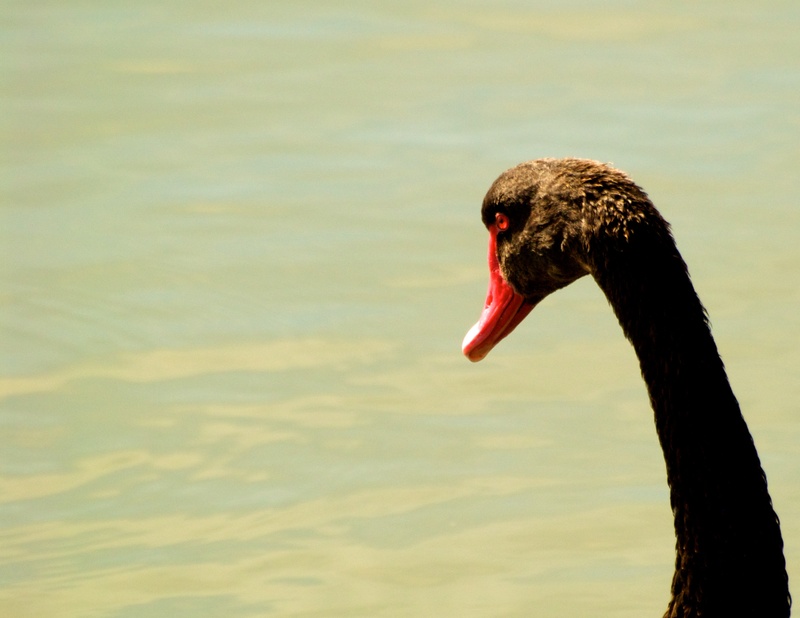 Adult Black Swans frequent large waterways, needing at least a clear forty metres, or more, for taking off. Black Swan chicks are covered in a grey down, and are able to swim and feed themselves once hatched.